Music wafted across the street to The Red Inn. 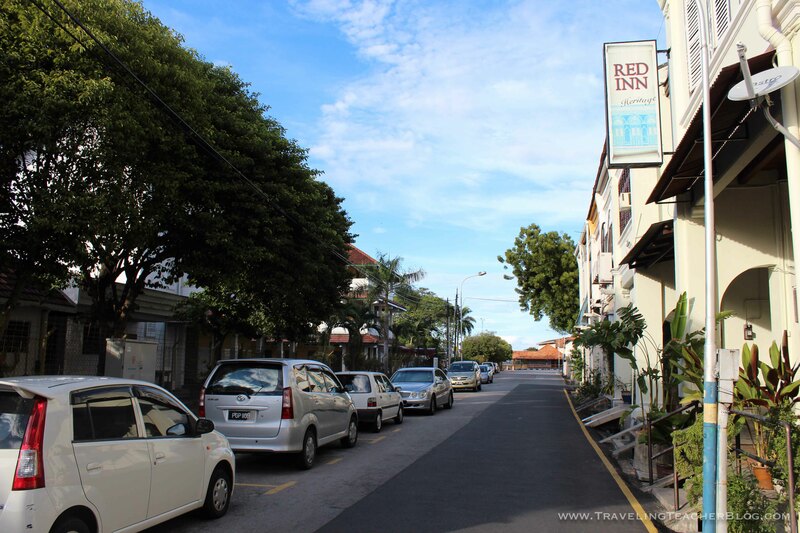 Two mornings after arriving in Penang, Malaysia, I was enjoying my coffee on the Red Inn Heritage Guest House when I heard live music wafting across the street. It was the distinct music of a school band, a marching band to be precise. Later that day, I was Skyping with my sister, a school band director in the United States. Several of her trumpet students had recently created a video to share with students around the world, and her excitement at possibly having her students see Malaysian music students was palpable through the screen. So I promised I’d try to make contact. After a bit of investigation, I realized I was staying across the street from the St. Xavier Institution, a school celebrating its 160th year of educating young Malaysians. A few days later, I stopped by to introduce myself. 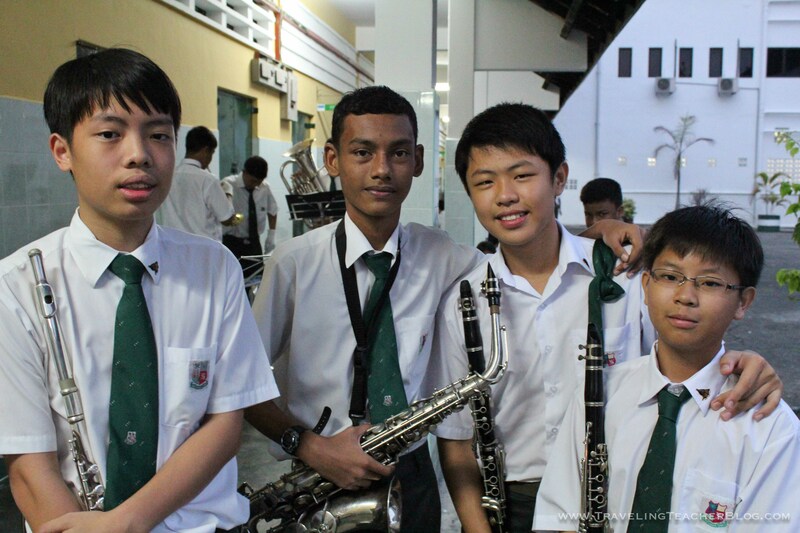 While trying to locate the main office, I bumped into Mr. Loh, an upper level Physics teacher, who welcomed me, gave me a tour of the school, and introduced me to the OTHER Mr. Loh, the school principal, and Mr. Yeah, the band faculty advisor. Both Mr. Lohs wished to have the Student Web Team participate in a video workshop (I will post about that later when the video receives approval) and Mr. Yeah invited me to visit with the band students the following day. I arrived in the afternoon, just as the students were checking out their instruments from the music room. Mr. Yeah introduced me to a few of the student leaders and explained the project to them. The leaders quickly agreed to assemble their sections and chose songs to play. I was SO impressed by their efficiency and maturity! 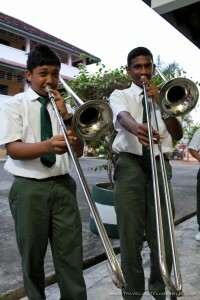 Next, I was introduced to the horn section, led by Mohanjee. As we walked together towards the recording area, I could sense his nervousness, so I told him about a video created by trumpet students in the Sparta Alpine School band in the United States. Mohanjee smiled at this idea: perhaps at the thought seeing their video and they possibly seeing his. When it was time to record he was still nervous, but I told him to simply speak to the US trumpet students. As Mohanjee and I were walking back to the band area, I gave more thought to the ease of exchanging music around the world. And of the global connections that could be organically cultivated: There is a wonderful cross-pollination that naturally occurs within music: rhythms get shared, borrowed, altered, and then shared again. Music becomes a common experience, one that honors the marriage of similarities and differences. I remember visiting the Memphis Rock ‘n’ Soul Museum in Memphis, TN years ago and being struck by the idea that music had transcended race divisions in the United States well before the Civil Rights Movement. Musicians simply cared more about playing music than the color of each others’ skin. Their passion for music created a common experience that transcended their differences. So, what if we utilize technology to transcend the physical global borders? And give students the opportunity to use music in order to embrace the similarities and cross-pollinate the differences? What if Ray Gan, Mohanjee, Brian, Jerry could play not only play FOR each other, but WITH EACH OTHER, creating a virtual concert or rehearsal space? Clearly, the passion exists. Now let’s create the way. And offer student the opportunity to become “happy, informed” and creative Global Citizens! * If you are a music student, music educator, musician or otherwise interested in exploring a possible global concert, please contact me click on the Skype in the Classroom Project above. 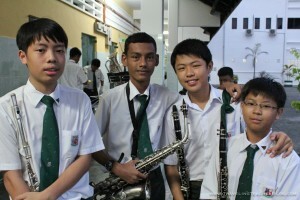 ** To learn more bout St. Xavier Institution Band, visit their school website. *** To visit the Sparta Alpine School band website, click HERE. **** To learn more about Homa Tavangar’s book Growing up Global, click HERE. This entry was posted in Malaysia, Music and Art, School and tagged "media for all" "media for all project", #globalclassroom, angklung, edtech, global concert, malaysia, marching band, Mongolia, morin khuur, music education, penang, sparta alpine band, st. xavier institution, sxi, teacher traveling, the traveling teacher, Traveling Teacher Blog, Ulaanbaatar, Wordpress CATEGORIES on February 7, 2012 by The Traveling Teacher. Firstly, thank you for joining us in the #globalclassroom chat tonight. Your blog is fascinating and I am envious of the travelling you are doing. 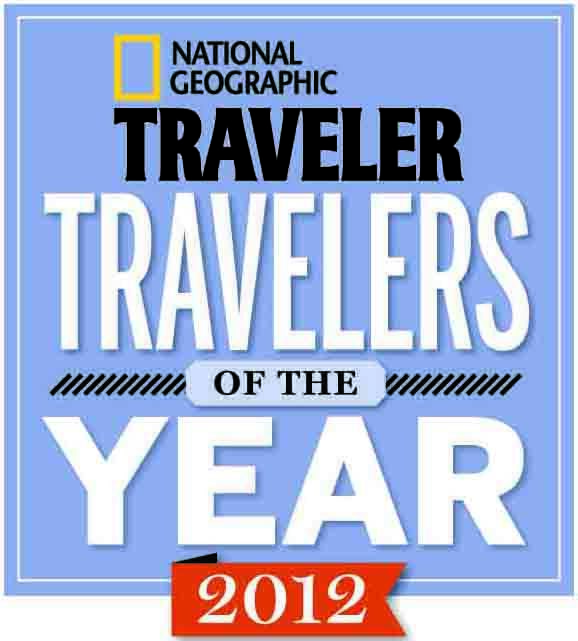 (I love to travel too). What fabulous journeys you are undertaking. The nature of videos for sharing is now evident to me, now that I see your posts. How do you then use skype? Do you pre-organise schools from the USA to linkup with you and a class you might be visiting? I find this highly intriguing. @Anne Mirtschin, Thank you Anne. I love the #globalclassroom Twitter chats! The connections are happening rather organically. Tonight I skyped with students at the Tchey School in Cambodia to students at the Garrison Forest School in Maryland, USA. The GFS students had watched the Cambodian students videos on YouTube and had questions. They are also beginning to make their very first videos, so there was a bit of talk about the process. I’m more than happy to connect schools to schools. Teachers contact me and we go from there. Where do you live and teach? This is awesome!!!!! I love the connection- music truly does transcend culture. Congratulations on the beginning of such a promising project:). You can certainly see your enthusiasm in the work you write. The world hopes for even more passionate musicians to play together. Always follow your heart. Thanks for referring any new students my way!